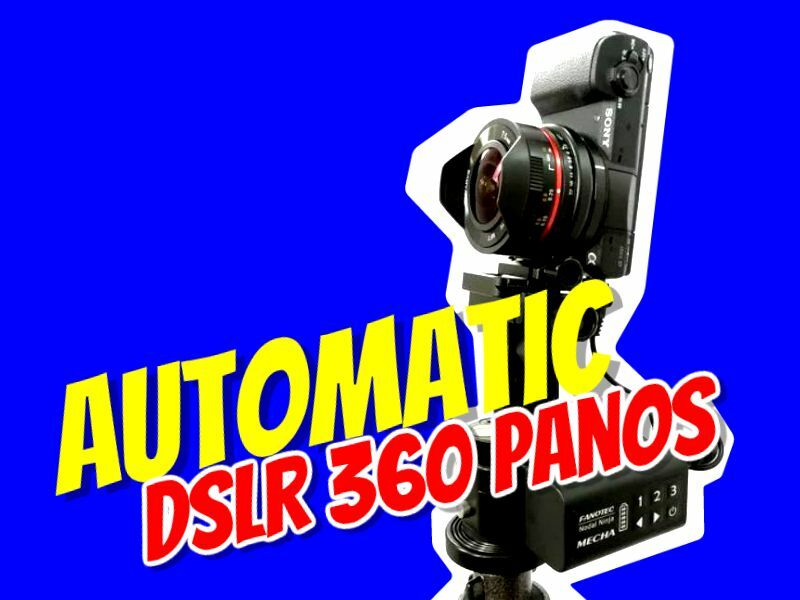 How would you like to take 360 photos with your DSLR automatically, with one press of the shutter? The Nodal Ninja Mecha E1 is a motorized rotator head that can shoot 360 photos with your DSLR automatically. Using a motorized head is not just easier, but should also reduce the possibility of errors during shooting. The Mecha E1 works with Nodal Ninja panoramic heads, including Nodal Ninja 3 MkII, Nodal Ninja 3 MKIII, R1, R10, R20, and RS1 (here are the differences between the Nodal Ninja heads). The first version is a single-axis rotator but a dual-axis version will be available in the near future. The single-axis version of the Mecha E1 is now available for preorder at a discount here. The regular price is $280 but you can get an additional discount if you preorder, for $230. Although the E1 is only single-axis, Nodal Ninja will have a dual axis version available, and you’ll be able to add on the other part to the E1 to make it dual axis. I ordered the Mecha E1 and will be testing it as soon as I receive it. Is it possible to use 2 or 3 axies version of Nodal Ninja Mecha to automatically shot 6 shots and merge to be a tinyplant photo , like this manual head for gopro. Hi Mic, have you also tried the Syrp Gini Mini? I somehow like the app on the phone much better from the looks but I wonder if there are other differences to the Nodal Mecha E1. Price is about the same. DEALS: Bushman Monopod 20% discount!